This year I’m feeling more in the fall spirit and ready to pumpkin spice-ify everything. Maybe it’s the baby making me crave all the cozy fall spices and comfort food (GIVE ME ALL THE PUMPKIN BREAD! ), but I’ve just been in the mood for all the pumpkin things this year. 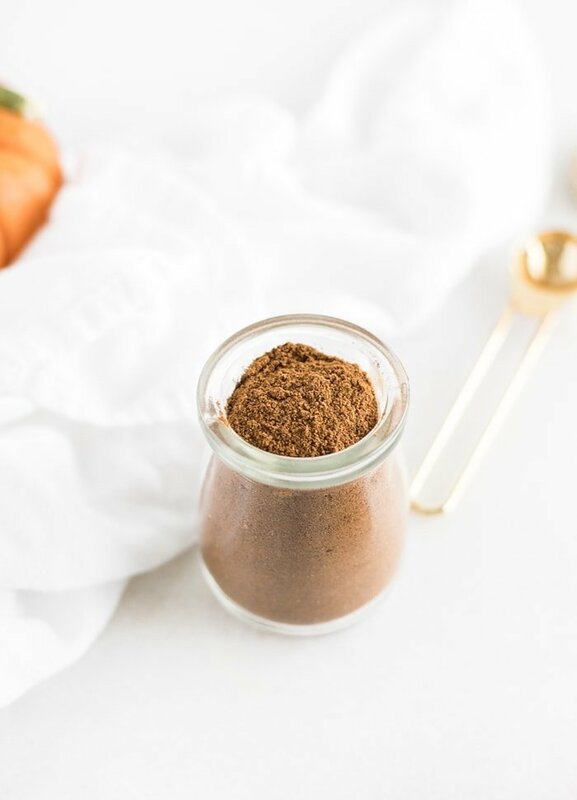 With all of the pumpkin recipes on my site (and more to come this year), I figured it was time to share an essential piece – a homemade pumpkin pie spice recipe. 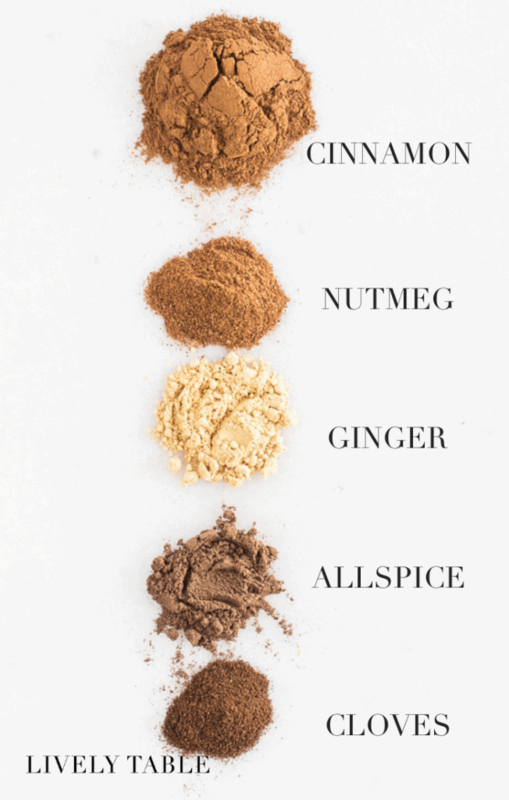 I know everyone already has a pumpkin pie spice recipe. But since you’re already here, you may as well have one more. I’m a big fan of making my own spice blends. It’s way less expensive than buying pre-made mixes, and you can generally use what you already have in your cabinet (and then use those spices for other things). 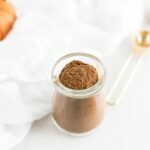 I think this homemade pumpkin pie spice recipe tastes better than store-bought versions. Maybe because the spices are fresher, or maybe because I can customize it for the mood I’m in that day. Who knows. But it’s definitely better. If there’s any of these spices that you don’t use often, you can buy just a little bit from the bulk spice section of most grocery stores, that way you’re not buying a large container of a spice (looking at you, allspice) that’s just going to sit in your cabinet and get old. 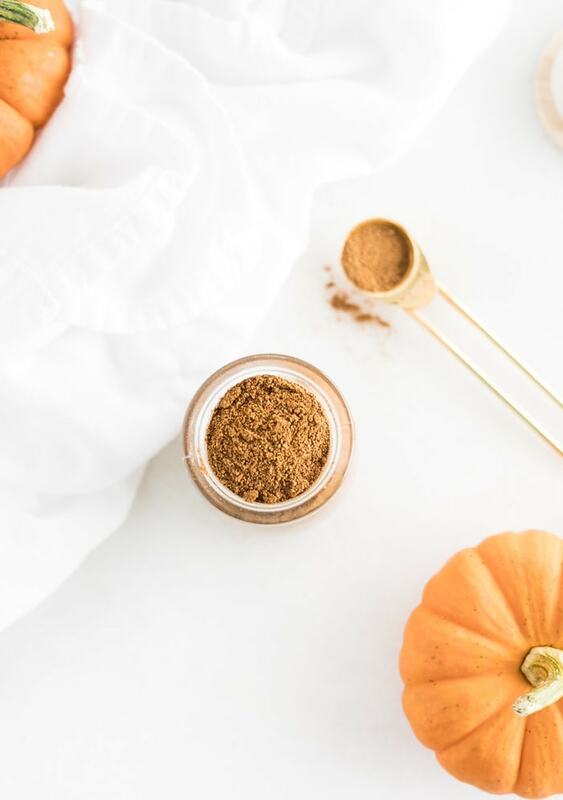 Now that you’re ready to make your own homemade pumpkin pie spice, you can spread a little fall love! Try it in my pumpkin pancakes, pumpkin lava cake, no bake pumpkin cheesecake, or one of the many other pumpkin recipes on my site. Enjoy! Combine all spices in a sealable jar. Close and shake well. Sprinkle on everything for a little pumpkin cheer!